Troops of Border Security Force deployed under Guwahati Frontier in Dhubri have seized large numbers of cattle heads meant for smuggling to Bangladesh on the intervening night of 23th & 24th Aug 2016. 312 cattle heads worth Rs. 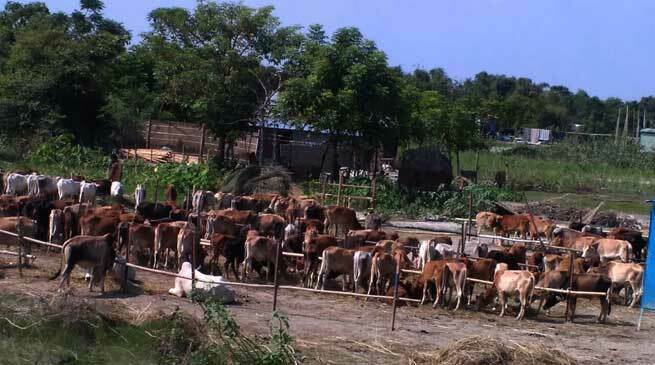 24,25,800/- (appx) were seized yesterday from cattle smugglers on the Indo-Bangladesh border by BSF troops, deployed in the riverine border of Dhubri. BSF troops are always alert to issue of trans-border crimes and illegal infiltration and are making all out efforts to prevent commission of illegal crimes.